Your clothes are a mode of self-expression. Why get lazy when it comes to your feet? 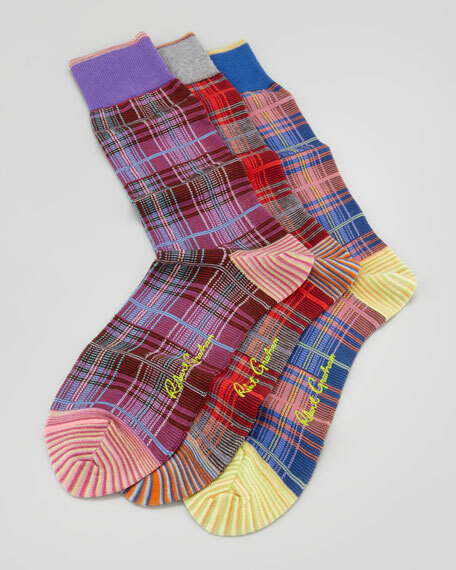 Wear these colorful Robert Graham socks to show a little attitude at the officeor anywhere else that could use some excitement. Set includes three pairs of socks. Multicolored plaid-print in royal, gray, and purple.